A woman's screams are just the beginning of a compelling mystery that changes Tod Harding's life. After he rescues a beautiful young woman from her attacker he learns she is pursued by sinister forces who believe she possesses the cure for cancer. 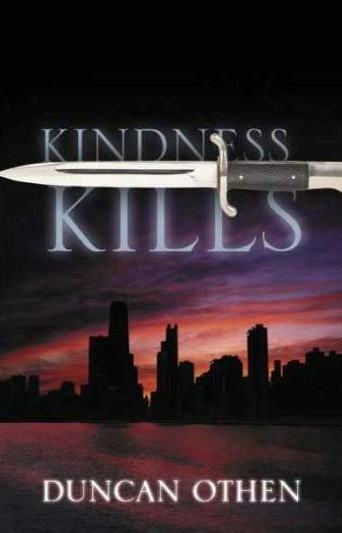 Ryan Dolan pursues a serial killer whose target is the homeless population of Chicago in this compelling mystery. Charged with unrelenting suspense and a unique romance, this thrilling novel also offers insights into redemption and reconciliation. Duncan Othen grew up in the somewhat ominous sounding town of Chagrin Falls, Ohio. He's the author of the mystery novel KINDNESS KILLS, which was nominated for the Christy Award, an annual national award for the best first novel. During his mother's battle against cancer he wished there was a cure for that insidious disease. He also wondered if there is a cure for cancer, could it be kept hidden from the public? Perhaps by a few powerful people who had self-serving reasons for keeping it a secret? That question gave him the idea for his new thriller LAST DANCE WITH DEATH. Next Time I'll Use the Woods! 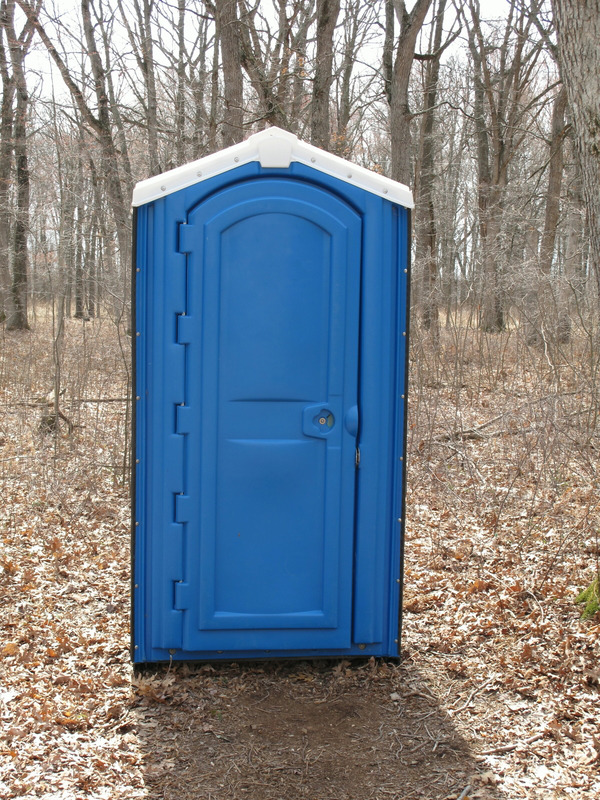 I learned the hard way that using a Porto-Potty can be a life-changing event. And yes, this is a true story. One fateful summer afternoon I was at my daughter's softball game at a park. Halfway through the game I decided to find a Porto-Potty and spotted two of them far off in the distance. I trudged away from the field, across the parking lot, and finally arrived where they were standing side-by-side. I had to decide whether to use the one on the left or the one on the right. Little did I realize I should have prayed for divine guidance. But I didn't, because I thought it was an unimportant decision. So I chose the one on the left. And believe me that was the wrong decision! I opened the door and immediately realized that this Porto-Potty had not been cleaned or emptied all summer. And it was late July. Also it was a scorching ninety degrees outside but inside the Porto-Potty it was well over one-hundred. But I told myself I was a man. I could do this. So I held my breath and stepped inside and closed the door. And then I made a catastrophic mistake. I chose to lock the door. Which was totally unnecessary, because there was no one else around. And the field was over a quarter-mile away. It was an unconventional lock. Most Porto-Potty's have a metal rod you just slide across the door, but this one didn't. It was a large round plastic door knob. I started turning the knob, which was so loose it nearly fell off. And after repeatedly turning it I finally heard a click which meant the door was locked. When I was ready to leave I was still holding my breath, and I kept turning the knob to unlock the door. And nothing happened. The knob was so loose now it was totally useless. I pushed against the door. It was still locked. At this point I had to breathe again. Which was indescribably unpleasant. I pushed against the door as hard as I could but nothing happened. It was still locked. I suddenly realized I was trapped in a Porto-Potty! There was no one around, so it was useless to call for help. I began to push, kick, and bang against the door but it wouldn't open. I was a prisoner! As the minutes went by I began to sweat profusely and hyperventilate. I'm claustrophobic so after about five minutes panic began to set in. So I chose to take a desperate gamble. I climbed up on the seat and decided I would launch my entire body, full-force, into the door in hopes of popping it open. Realizing that I might only succeed in tipping over the Porto-Potty. Which meant that everything in it would flow all over me. Which might be a fate worse than death. I took a deep breath and dove at the door, striking it with my shoulder, it popped open, and I flew out of the door with my arms outstretched like Superman and landed on my stomach on the ground. I was free! I looked up and a father and his young son were staring at me. Imagine how it looked to them to see me come flying out of there? He grabbed his son's hand and they hurried away. I went back to the game and whispered what had happened to a friend and I told him not to tell anyone. So of course he told everyone, and all the other parents laughed at me the rest of the summer. I should have prayed for divine guidance that day. 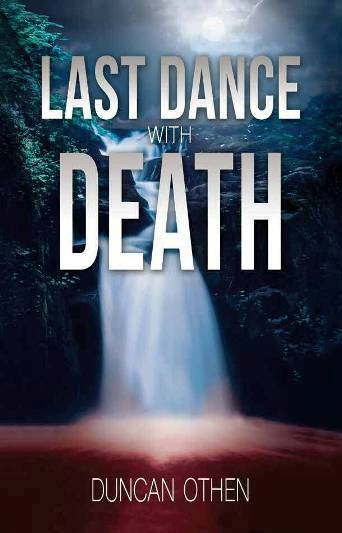 In the first chapter of my latest novel, LAST DANCE WITH DEATH, Tod Harding has to make a life-changing decision. After he rescues a young woman from an attacker he has to decide whether to continue to help her, or to simply go home. She tells him that millions of lives are at stake. Tod has to decide whether to believe her, a total stranger, or not. And he doesn't pray for divine guidance either. At the end of chapter one he makes his choice. If you read the next few chapters you will see whether he made the right decision or not! Bears Don't Brush Their Teeth!" I never wanted to become a professional wrestler. But I decided to give wrestling a try one fateful night years ago, when I was younger and more foolish. My brother-in-law got me signed onto a wrestling show in Cleveland, Ohio. The problem was he didn't set me up to wrestle against a human being. He set me up to wrestle against a bear. A real live bear. His name was Hugo the Invincible. He was eight-feet tall and weighed 800 pounds. And he was undefeated against humans. I didn't know this when I agreed to the match. My wife freaked out when I told her. She thought I'd be killed or maimed. But I said, "Don't worry, I assume it's a little bear. 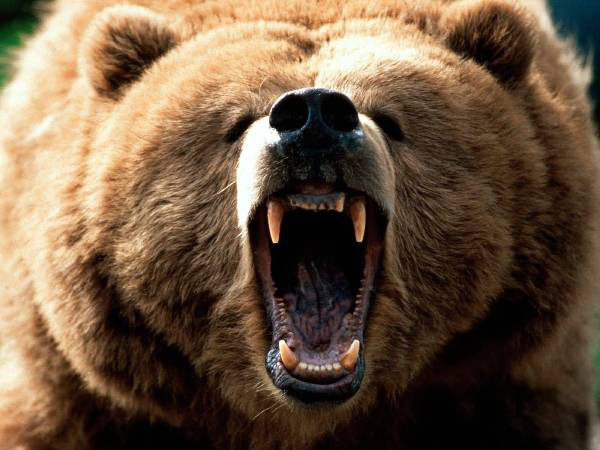 Or a bear trained to be gentle against humans." It turns out I was wrong. Boy, was I wrong. I showed up for the night of the match. The place was packed with a standing-room only crowd. The bear was not out there yet, but his trainer was. So I went down to the wrestling ring to see what I could learn about my opponent. I asked the trainer how Hugo had been doing lately and he told me he was undefeated and pinned most opponents inside of thirty seconds. Then he laughed at me and walked away. That made me a little nervous but I figured he was probably lying just to psych me out. I looked around at the crowd and felt better. I realized that in a few moments they would all be cheering for me. I would be a hero! I heard a roar from the crowd and saw them leading Hugo out of a tunnel with a chain around his neck. He was a monster. He was every bit eight-feet tall and 800 pounds. When I saw Hugo I got very nervous. And I started to pray. But I didn't pray to win, I prayed, "Lord, please let me survive!" I was standing outside the ropes when they turned him loose in the wrestling ring. He ran around growling and snarling at me. Which was not exactly thrilling for me because I realized that not only did I have to wrestle this monster, I had to do it when he was in a bad mood. When the ring announcer introduced me I was shaking like a leaf, but I was younger and foolish, so I decided to go in anyway. As soon as Hugo saw me climbing through the ropes he roared and charged at me full speed on all fours. He rammed his head into my chest and I went flying off the ropes and landed in a woman's lap in the first row. The place went crazy. The fans were laughing, cheering, and stomping their feet. The trainer had to go in the ring and put a chain around the bear's neck and hold him back so I could get in there. I climbed through the ropes and Hugo charged me. With one swipe of his paw he sent me flying through the air where I landed on my head on the other side of the ring. And I heard a huge roar of approval from the crowd. I got up and he sent me flying back across the ring again. And I heard another big cheer from the crowd. This made me feel terrible. I realized the crowd was rooting against me! I was a fellow human being, and a definite underdog. But they were rooting for Hugo! The bear then knocked me down and grabbed one of my legs. And I heard a sweet elderly lady in the front row start screaming, "Tear his leg off! Tear his leg off!" And it was my leg! I somehow got away and tried to push against Hugo, but it was like pushing against a brick wall. Everyone knows bears are strong, right? But to actually experience it firsthand, it's unbelievable. Fortunately I was a little quicker than him, at least at first. Every time he'd knock me down I'd roll out of the way before he could fall on me. He had two ways of coming at me. One was he would stand on his hind legs and slap me in the head, sending me flying through the air. I was very lucky that Hugo was declawed, and he wore a muzzle. After the first few times he slapped me I would grab his wrists to try to stop him. That really made him mad and he would then try to bite at my fingers through his muzzle. I remember thinking that if his muzzle came off I would never type again! He would also come at me on all fours, like a giant dog. And he would just swipe his paw against my knee and I would go flying through the air like a human bowling pin and land on my head. And hear another big cheer from the crowd. There was one other challenge in wrestling Hugo. I don't know if you've ever been close to a bear, but I can tell you something with absolute certainty. Bears do not brush their teeth! Hugo had the worst breath you can imagine, it was like raw sewage. I thought I would pass out from that alone. I lasted five full minutes. Mostly by running around to survive. It was the longest five minutes of my life. Finally I was so exhausted I couldn't move as fast anymore. And one time when he knocked me down I couldn't get out of the way in time. He fell on me, all 800 pounds of him! It felt like a building falling on me! I was crushed and couldn't breathe. He pinned me and then his trainer had to come in the ring and pull him off me. I was so tired and beat up I couldn't stand. I had to crawl out of the ring on my hands and knees with the whole crowd laughing at me. Even my wife. Although I forgave her for it. Eventually. That ended my wrestling career. One match and one defeat. I was reminded of wrestling Hugo when I wrote the first chapter of my new novel LAST DANCE WITH DEATH. 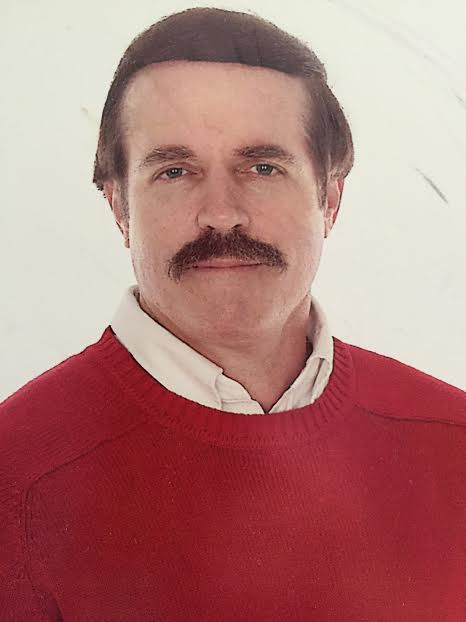 In that chapter Tod Harding must wrestle against a dangerous opponent. Not a bear. But a man armed with a gun. Which is a bigger challenge? If you read Chapter One you will find out! Love and faith can thrive even in the deadliest of circumstances.